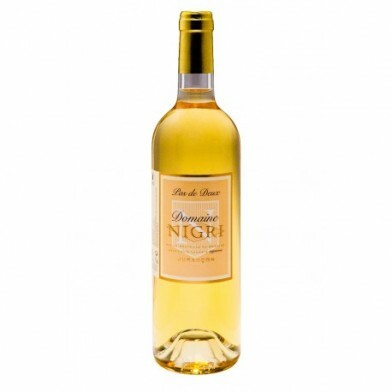 While this wine has an attractive honey character, aromas of honey, candied fruits, citrus with balsamic notes, it is only lightly sweet. 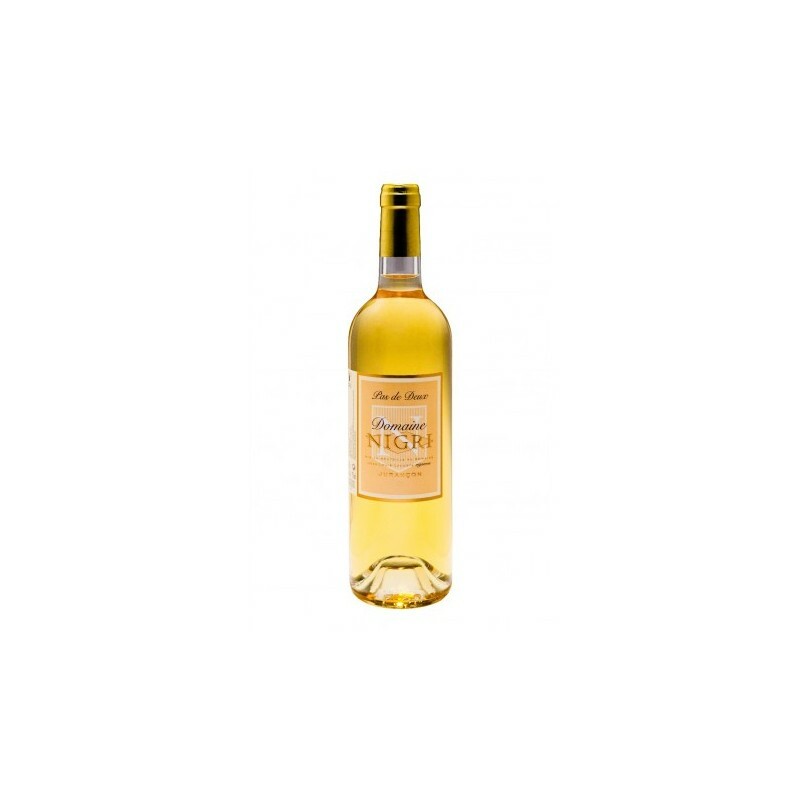 It's more about acidity balanced with richness and a wonderful orange-zest character that gives a lift as well as bright aftertaste. Excellent balance between the roundness of the sugar and the acidity. Pairing Good match with foie gras, smoked fish, fish in cream sauce, blue cheese, pyrenean ewes milk cheese, spicy cuisine (indian, chinese) and bitter chocolate cake. To serve at 10?14° C.
Domaine Nigri dates back to 1685. The Lacoste family ran the property for four generations. The vineyard is in biologic culture with innovative growth practices, respecting the environment, the human person and the vine’s health. The winery is organized with a meticulous approach. Hygienic facilities, high quality materials and air-conditioned aging rooms. The geological diversity of the soils, combined with the grape-varieties and painstaking work, give to the domaine’s wines originality and a highly complex aromatic expression. When one goes through the Jurancon region, we’re always surprised by the green color of the nature. Jurancon combines the Atlantic Ocean, Pyrenees mountains influences and high temperatures. The management, the control of the grass are for our most watered vineyard of France a necessity in order to limit the erosion, and to preserve the potential of the organic matters in the soil, help the life in the soil, essential elements of our terroirs’ expression. The work on the ground is not systematic, but reasoned, always superficial to avoid the tamping of the soil and let the roots of the grass and grains do the aeration. We give a big importance to the green operations, and a particular care to the training and the grapes aeration. The grape-varieties are harvested separately and vinified parcel by parcel in order to express all the aromatic potentials and soil diversity. An aging on fine lies of 6 to 11 months helps to nurture the wine to acquire a extraordinary identity.